Where to Play South Park for Real Money? Whether you’re a fan of South Park’s adult humour or not, there’s no doubting that this slot from NetEnt is one of the very best around. As you’d probably guess, the reels are dominated by the main characters from South Park. Aside from them, the symbols are just standard 10 through to A ones, and it can’t be helped thinking that they could have been a bit more inventive. After all, there are plenty of other characters they could have included on the reels. The base game isn’t the star of the slot though, and is instead simply the way to activate one of the eight different bonuses, which are explained in more detail further down the page. So, if this slot sounds like your type of game, why not have a few spins right now? 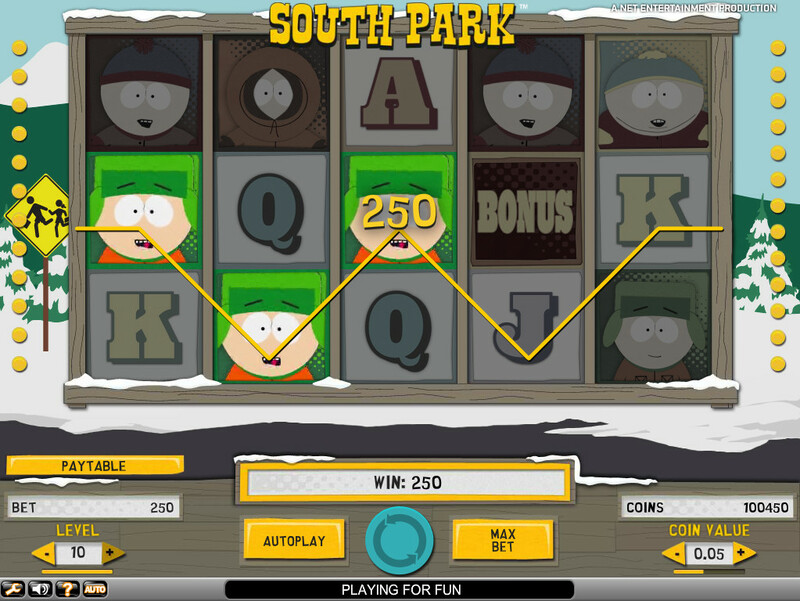 How to Play South Park Casino Game? 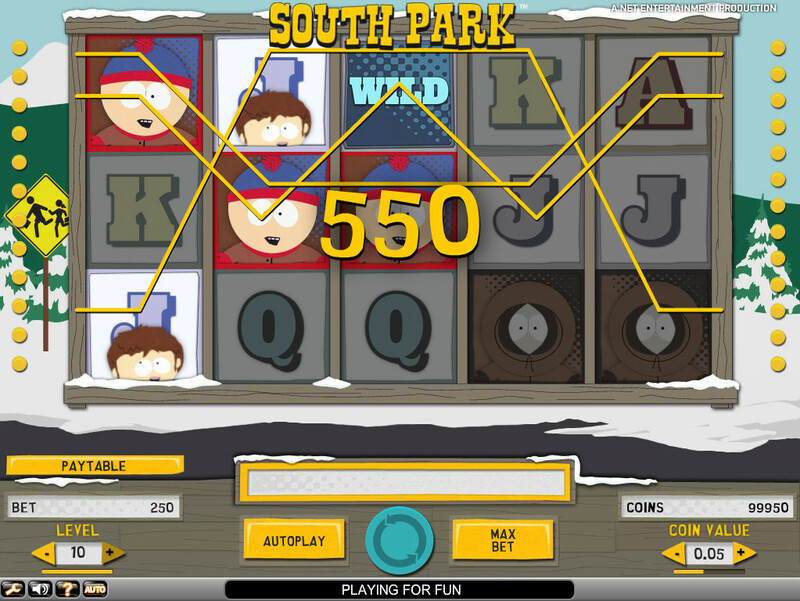 There’s nothing too different about the South Park slot in terms of gameplay, meaning that all players will be able to get playing pretty quickly. The 25 paylines are fixed, so you won’t be able to choose how many of them you want to play, however you can vary the amount you bet per spin, which can be anything between 0.25 coins and 125 coins. Of course, the more you bet, the more money you could win though. Made your choice? Well, now all you need to do is spin the reels and start playing this exciting, crazy slot! In order to win on the base game, you’ll need to line up three or more identical symbols on a payline. 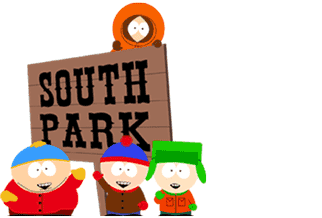 The highest paying symbol is Cartman, however the show’s other main characters – Kenny, Kyle and Stan – also bring some really nice prizes. You might also be able to spin in a bonus when the reels stop spinning, and there’s more information on these in the next section. So, overall the gameplay at South Park is pretty standard, without any major quirks or surprises. 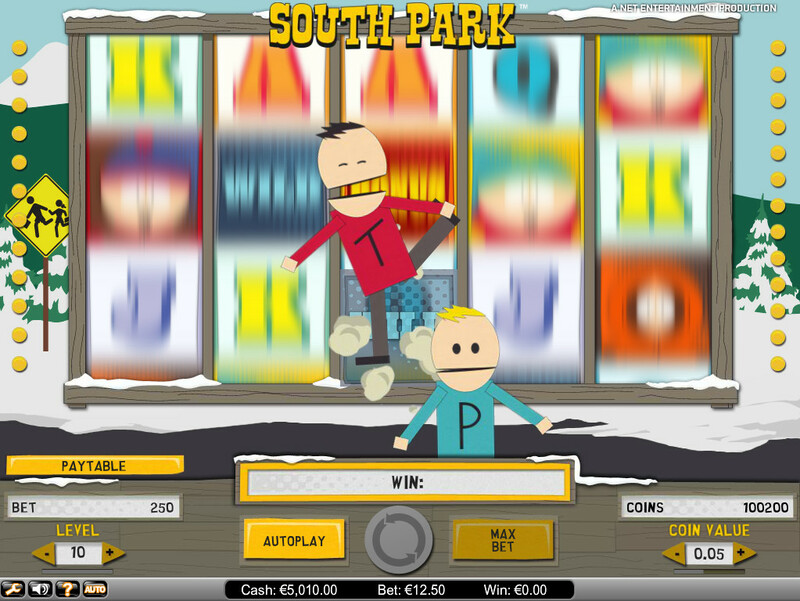 The humour you’d associate with South Park ensures that this game doesn’t feel normal though, and instead feels like one of the very best online slots around. 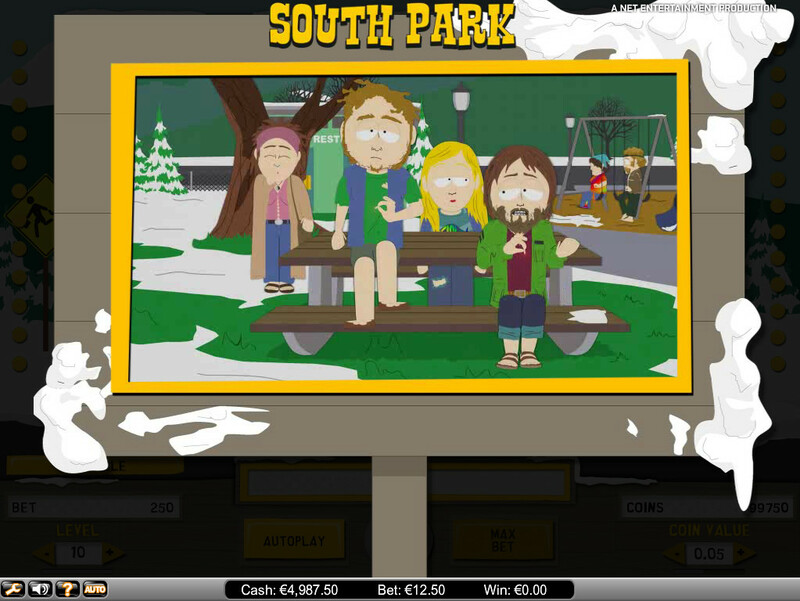 The number of bonuses at South Park is unbelievable, as there are eight in total. The most basic of these is the wild symbol, which can substitute for any other symbol during the base game. Then there’s the Beefcake Wild, which is completely random, which sees the wild symbol cover the three central reels before the reels get respun. Next there’s the Terrence and Philip Wild, which randomly sees the Canadian TV stars fly across the screen, depositing wild symbols as they go. There’s yet another wild bonus to mention as well, and this time it’s the Mr Hanky Wild. This is also randomly triggered, and see’s the famous Christmas poo replacing symbols on reels one, three and five with three wild symbols. Next is the free spin bonus, and this sees you getting 10 free spins. If you manage to land the Ike symbol while they’re active, Kyle will kick him and this could lead to more free spins, a higher multiplier or a cash prize. There’s also a respin bonus, which is activated when Wendy is spun in on the reels. This bonus sees you head to the school, where the reels will respin twice, with a sticky wild on the center reel. Getting more wilds on the reels will lead to more respins being added. Then there’s the Don’t Kill Kenny bonus game, which will see you trying to keep Kenny alive as he walks through the streets of South Park. It’s possible to win 2,500 coins if he’s still alive at the end, plus any winnings you’ve collected during the game. The final bonus is the Hunt the Hippies bonus, and it comes with the largest prize. It is also perhaps the least politically correct, as you shoot at the bushes, trying to hit any hippies hidden in them. Don’t hit the policeman though, as hitting him twice will end the feature.